When Tesla Inc announced last month a second round of job cuts to rein in costs, one crucial department was particularly badly hit. The automaker more than halved the division that delivers its electric vehicles to North American customers, two of the laid-off workers said. Some 150 employees out of a team of about 230 were let go in January at the Las Vegas facility that gets tens of thousands of Model 3s into the hands of U.S. and Canadian buyers, they said, in a sign the company expected the pace of deliveries to significantly slow in the near term. Delivery of the Model 3 was the company’s key priority in the latter half of 2018, as Tesla tried to supply all buyers wanting the full benefit of the $7,500 U.S. tax credit before it was cut in half at year’s end. The Model 3 is crucial to Tesla’s plans for long-term profitability. The company aims to post a profit in each quarter this year, based on the expectation that it will sell more Model 3s and continue to cut costs. Tesla declined to comment on the job reductions in the delivery team. The company still has an undisclosed number of delivery personnel attached to other locations. The two former delivery workers said the 2018 sales push has left Tesla’s reservations list plucked clean of North American buyers willing to pay current prices of over $40,000 to get their hands on a Model 3. Chief Executive Elon Musk initially said in 2016 the car would start at $35,000 – which sparked a rush of reservations – but Tesla has yet to actually sell any cars at that price, despite two price cuts already this year. “We sold through just about every car we had on the ground and we called almost every being on the planet who had ever expressed desire to own a Tesla to let them know the tax credit was expiring,” said the other ex-employee. Tesla workers around the company were reassigned to pitch in, that source said. “They said, ‘Your job is off the table now, we have to get these cars delivered. Because if we don’t get these cars delivered, you don’t have a job tomorrow,'” the former employee said. 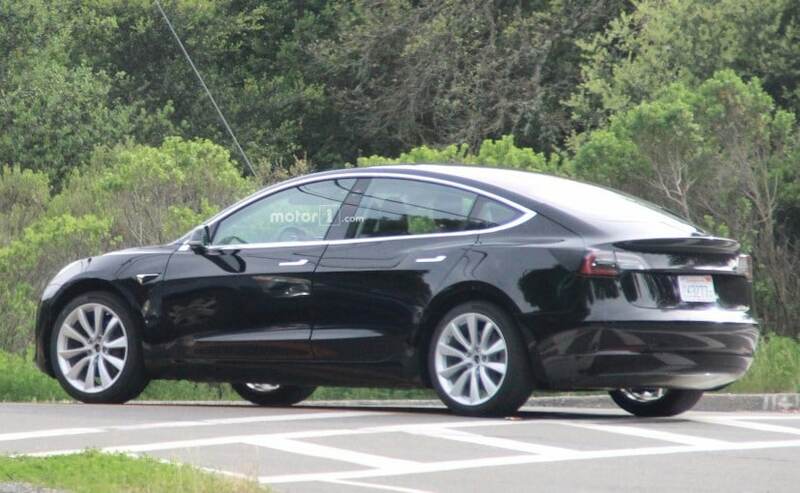 The company delivered 145,610 Model 3s in 2018, but all of them at prices far above $35,000. Musk said last week a $35,000 version that could be sold profitably was perhaps six months away. Even with two price cuts this year, the lowest price tag on a Model 3 is now $42,900. Musk maintains that Model 3 demand is “insanely high,” but his company has not released any figures to demonstrate that. Musk has said Tesla has multiple ways of stoking demand, if it chose to, such as offering leases or boosting marketing efforts. The Model 3s now rolling out of Tesla’s Fremont, California, factory are going to Chinese and European buyers, Tesla says. The two laid-off employees said delivery targets for North America – made up of mostly U.S. buyers – this quarter would be 55 percent to 60 percent of what they were in the last quarter of 2018. If Tesla does not cut prices soon, it risks losing potential customers – and ones already on its reservation list – to a slew of German and Asian competitors whose electric vehicles will hit the U.S. market this year. Each of the new entrant’s first 200,000 buyers will be eligible for a full federal subsidy.